The Trim Healthy Mama (THM) diet is designed for everyone. While it may appear complicated, it is one of the easiest diets to follow. With THM, you do not need to keep track of your calories. You also get to avoid preparing separate meals for you and your family. You can even continue to eat your favorite foods. New fad diets come and go. However, the Trim Healthy Mama lifestyle may offer an effective weight loss and fitness solution for anyone who has struggled with dieting. 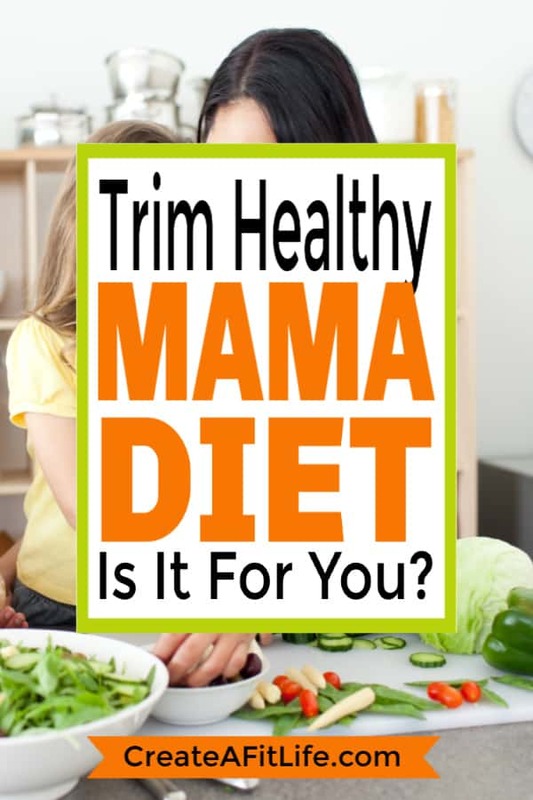 What Is the Trim Healthy Mama Diet? Two sisters created Trim Healthy Mama, which was released as two separate books. One book provides a detailed guide to the THM lifestyle while the other is a quick start guide with an overview of the basic rules. It is not a strict diet. If you follow these rules, you can eat almost anything that you want. To replace the sugar in your favorite recipes, you simply use an artificial sweetener, such as Stevia. There are also low-glycemic flour alternatives. The diet was created to provide people with an easy-to-follow approach to eating better and preventing insulin spikes. Removing refined sugar is the main component of the diet. While you can still eat sugar, it needs to come from fruits and vegetables. When you cut sugar from your diet, your body does not need to produce as much insulin. This can be beneficial for diabetics and non-diabetics. You also eliminate processed foods on this diet, as you need to eliminate refined sugars. As mentioned, you can use sugar and flour substitutes to recreate almost any meal. The THM diet also requires you to eat every three hours, which is not a new approach. Other diets have used this method to help boost fat burning. When you do not eat enough food, your body begins to conserve calories and store fat. You may even start to burn muscle for energy. Eating every three hours helps keep your metabolism running at peak efficiency, allowing you to burn more calories throughout the day. The diet also requires dieters to separate fats and carbs. These two nutrients are your primary fuel sources. The sisters that created the diet claim that separating these nutrients helps boost your body’s fat-burning ability and promotes better health. What Do You Eat on the Healthy Mama Diet? You can eat almost anything on the THM diet if you stick to the rules. The biggest issue for most people is eliminating sugar. Sugar is found in almost everything that the typical person eats. You can find refined sugar in anything that is made with flour, such as cakes and other baked goods. Frozen meals, chips, and crackers also contain refined sugar. Luckily, there are Trim Healthy Mama recipes that cover all types of foods. You can find a wide variety of breakfasts, lunches, dinners, snacks, and desserts to suit any taste. You can also buy a Trim Healthy Mama Cookbook to find additional recipes. However, there are plenty of recipes available online. You can also modify your favorite recipes using the substitute ingredients. Stevia or your preferred artificial sweetener can be used to replace sugar. If you shop the Trim Healthy Mama store, you can also purchase gluten-free baking mix to replace flour. Besides the books and website, there are additional resources to help you stick to the diet. By choosing a membership, you gain exclusive access to recipes, video menus, and a menu builder. Other highlights include a private community and online forum, recipe database, and video library. There are three different membership options and they all provide access to the same set of features. The only difference is the price. You can choose a 3, 6, or 12-month subscription, with the yearly subscription providing the best value. You do not need a Trim Healthy Mama membership to follow the diet. The membership simply provides access to useful information and menus. If you want a complete guide to the THM diet, you may enjoy the convenience of the membership. The forums and menus are helpful for finding ways to include more variety in your diet. If you get tired of eating the same meals each week, you can find plenty of suggestions. You can even use the menu builder to plan your entire Trim Healthy Mama meal plan. Should You Purchase Products from the THM Store? The Trim Healthy Mama store offers a variety of products related to the diet. You can find a gluten-free baking mix, protein powder, and even hair care and skin care products. Do you need to buy any of these items to follow the diet? No. You can follow the diet while using most of the same foods that you already eat. As mentioned, this diet simply requires you to cut out the refined sugar, which includes table sugar, flour, and foods that are made with these ingredients. Most processed food also falls into this category. You should avoid fast food, frozen meals, baked goods, and candy. However, you can use the food substitutes to enjoy some of your favorite foods. For example, you can replace the flour used in various baked goods with the gluten-free baking mix. You can still enjoy cake, cookies, and other sweets. The store offers more than just baking mix. The hair care and skin care products are offered at a reasonable price, but you do not need to purchase them to follow the THM lifestyle. Can You Lose Weight With This Diet? Fats, carbs, and protein are the three primary sources of energy for your body. Fat is the more efficient energy source, as it contains more calories per gram. However, most people are fueled primarily by sugar. When you eat more sugar than your body uses for energy, it stores the extra sugar as fat. If you take away this energy source, your body needs to find a replacement, which either comes from the stored fat or the fat and protein that you consume. Cutting down on sugar should be a positive change for most people. Replacing refined sugar with healthy sources of simple sugars is also beneficial. When you follow this diet, you can eat fruits and vegetables to get your sugar, which also provides your body with essential vitamins and minerals. These lifestyle changes promote better health and weight loss. However, everyone gets different results. What works for one person may not work for another. Is the Trim Healthy Mama Diet Safe? Anyone with existing health issues or with special dietary requirements should talk to their doctor before starting a new diet. However, there are no specific aspects of the THM diet that should pose a health concern for most individuals. In fact, the THM diet may help diabetics manage their disease. When you eat carbohydrates, your body converts the sugar into glucose. Your body also produces insulin to control the amount of glucose in the blood. Diabetics develop an insulin resistance, which allows blood sugar levels to spike. As this diet eliminates refined sugars, diabetics may experience fewer blood sugar level spikes, making their diabetes more manageable. Other than changes to sugar consumption, this diet does not require any drastic changes to your existing diet. You can continue to eat what you want, which means that the diet itself should be safe for anyone. The structure of the plan makes it suitable for almost anyone. The rules are easy to understand and follow. You cut refined sugar out of your diet and separate fats and carbs. There are a few other minor rules, but the structure is simple. When you follow a strict diet with detailed rules, it often becomes difficult to sustain. With a busy lifestyle, counting calories and keeping track of every bite is too much work. You do not need to worry about following a set meal plan. There is no complicated math for determining what you can eat. You simply follow the basic rules. The THM diet also allows you to stray. When you give in to your food cravings, you do not immediately need to start over or quit the diet. In fact, the sisters behind this diet acknowledge that most people cheat on their diets occasionally. Diabetics face additional challenges when choosing a diet. It needs to meet their specific dietary requirements. Doctors often recommend that they follow low-glycemic diets, as they help reduce insulin spikes. The THM diet removes the refined sugar that typically causes those spikes. This low-glycemic diet may help make diabetes more manageable and reduce the risk of some of the more serious symptoms of the disease. With this diet, you still get to enjoy your favorite foods. You can still eat ice cream, cake, and brownies. You just need to replace the sugar and flour with suitable alternatives. The THM diet has a simple structure that may appeal to most dieters. The loose guidelines make it easier to follow. However, some people need clear outlines and meal plans provided by some of the other popular diets. Getting to eat what you want is why most people try dieting. Their regular choices did not work out and they need guidance. However, the THM is not a full-fledged diet. It is more of a lifestyle change. The books encourage you to make better food choices and pay more attention to what you eat. Another potential issue is the use of artificial sweetener. While there is no proof that artificial sweeteners are bad for your health, some people and medical professionals believe that these sugar substitutes may pose a few health risks. The belief is that the sweeteners may cause you to find sugar in other foods. You may start eating more sweet fruit or sugar-filled carbs. Some people also believe that there may be a link between the use of artificial sweeteners and an increased risk of miscarriage. However, this has not been proven and many women have followed this diet through their pregnancies and during breastfeeding. In fact, one of the authors of the diet had two successful pregnancies while following her own dieting advice. The diet includes a lot of suggestions that are based on reliable concepts. For example, the reduction of refined sugars is good for you. Eating every three hours keeps your metabolism going. However, the diet also claims that separating your fats and carbs helps with weight loss. There is no scientific evidence to support this claim. While every meal contains at least a small amount of each nutrient, you cannot include carbs and fats in the same meal. For example, you may get healthy fats from dairy and eggs in your carb-free breakfast. For lunch, you skip the fat and include some healthy carbs, such as fresh fruit. Your body still processes these foods. The total calories still count toward your calories for the day and determine whether you lose weight or gain weight. The idea that separating carbs and fats may aid weight loss is not backed by scientific proof. However, separating ingredients is known to aid digestion. It is easier for your body to digest food when it is already separated. By separating fats and carbs, you may provide some relief to your digestive system, which may provide minor health benefits. Who Should Consider Trying the Trim Healthy Mama Diet? Trim Healthy Mama was created for the typical dieter by two moms, but it is suitable for anyone. You may even get your entire family involved. Men, women, and children have followed this diet and loved it. 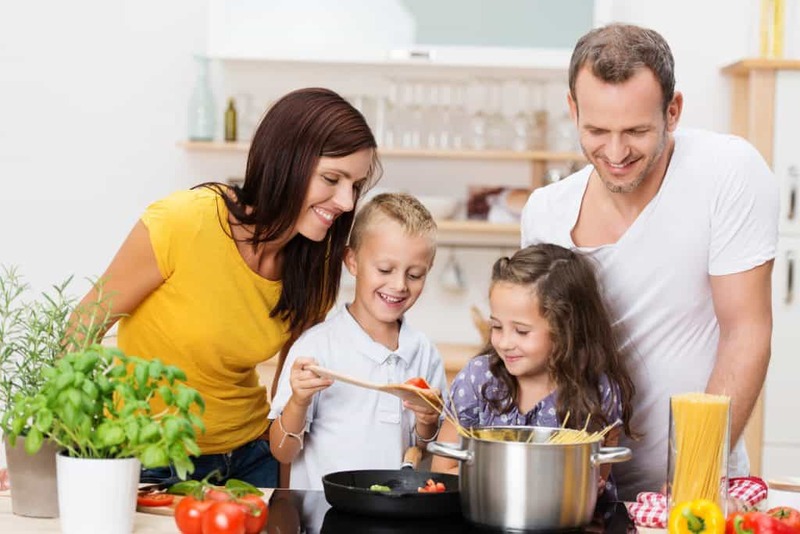 There are many family-friendly Trim Healthy Mama recipes, including pizza, meatloaf, and burgers. THM is also low-glycemic, which makes it a healthy option for most diabetics. You still get moderate amounts of healthy sugar from fruits and vegetables, ensuring that you get a variety of beneficial nutrients. There is one group of individuals who may not enjoy this diet. If you do not like preparing fresh meals every day, you may struggle to stick to this diet. However, you may experience the same issue with almost any diet. Eating more fresh-cooked meals is standard practice for a diet. You need to give up the processed, prepared foods and fast food meals for meals that you cook in the kitchen. Some people do not have the time to cook each day, which is why many people struggle with weight loss. Even if you do not enjoy cooking fresh meals, you may find the THM diet easier compared to other diets. The loose structure allows you to enjoy a wide variety of foods, making it easier to find simple meals to prepare that require less time in the kitchen. Conclusion – Does the Trim Healthy Mama Diet Work? The Trim Healthy Mama diet is not a radical diet. It includes a simple path for eating better anyone can follow. While there is no scientific evidence to support the idea that separating carbs and fats promotes weight loss, there are many success stories. The THM diet also addresses some of the most common problems with dieting. Most diets are not sustainable due to the complicated rules. They may also require you to give up your favorite foods or keep track of everything that you eat. You do not need to do any of these tasks with the Trim Healthy Mama plan. The diet is simple. You eat every three hours, separate fats and carbs, and only get your sugar from fruits, vegetables, and sourdough bread. Cutting out the refined sugar and processed foods should have a positive impact. The bottom line is that this is not a typical diet. You do not need to count calories or worry about portion sizes. The basic guidelines make it easy to follow. It is also more sustainable due to the loose structure. However, if you want to get positive results, you need to put in a little extra work. You need to avoid unhealthy foods and focus on eating a more balanced menu. Luckily, there are plenty of meal plans and suggestions on the THM website, forum, and through the exclusive member content. If you have tried all the other fad diets, you may want to try the THM diet.